Since it's release, the acclaimed NeuroRad™ for the iPad hit #1 highest grossing medical app in 53 countries and reached the top 10 in 83 countries! 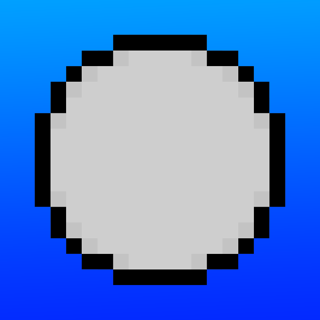 Version 3.1 features optimized 64-bit and iPad Pro compatibility. 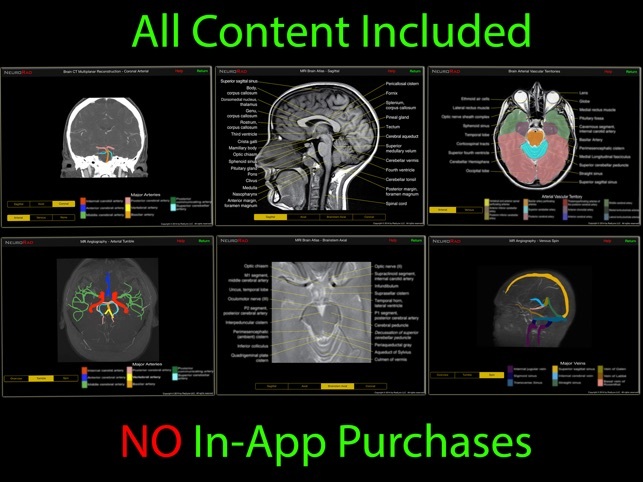 All NeuroRad™ atlases include all advertised content - no subscriptions, in-app purchasing or internet connection required. NeuroRad™ remains fully compatible with excellent performance on all iPads with standard or Retina displays running iOS 8 and later. 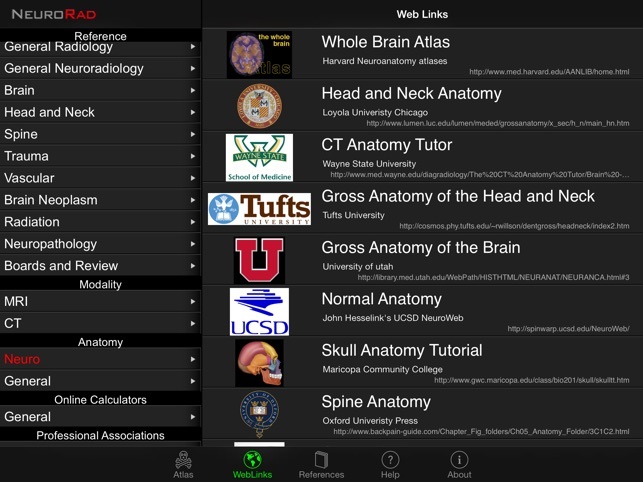 NeuroRad™ for the iPad is an efficient and practical clinical NeuroRadiology reference. NeuroRad™ is designed for use by anyone involved with or interested in the interpretation of imaging of the brain, including radiologists, neuroradiologists, neurologists, neurosurgeons, ER and referring physicians. 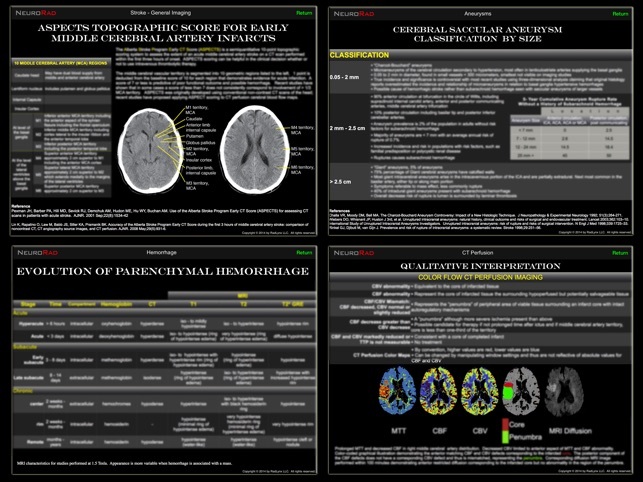 Medical students, residents, fellows and others in the healthcare field will find NeuroRad™ a useful learning and reference tool. NeuroRad™ is written and designed by an American Board of Radiology certified Neuroradiologist with a Neuroradiology CAQ, a senior member of the American Society of Neuroradiology and over 20 years of clinical experience. ATLAS. The clinical Neuroradiology atlases are designed for quick reference, without inefficient elements such as obscuring and crowding pushpins or complex label toggles requiring multiple touches. Multiple unique multitouch atlases, including a fully labelled anatomic structure multiplanar MRI Atlas of the Brain with axial, sagittal and coronal images, a colorized vascular territory atlas, and multiple arterial and venous CT and MRI angiography atlases including colorized 3D spin and tumble image sets. The atlases are optimized for the iPad's multitouch interface and large screen. WEBLINKS. An up-to-date organized collection of live internet links to useful neuroradiology and related websites. Includes many hard to find reference sites. REFERENCE. 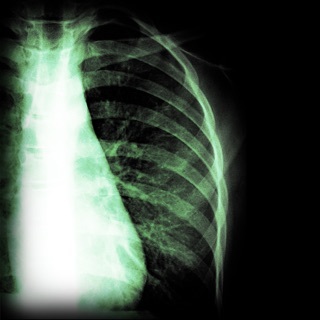 A collection of differential diagnosis lists and quick reference guides for selected topics. 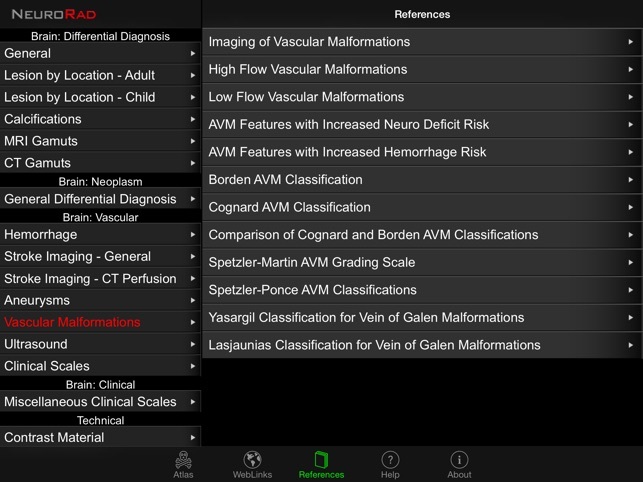 Primarily a text-based resource, the Reference section features coverage of vascular neuroradiology, including summaries of both imaging features as well as numerous radiological and clinical classification and grading scales. 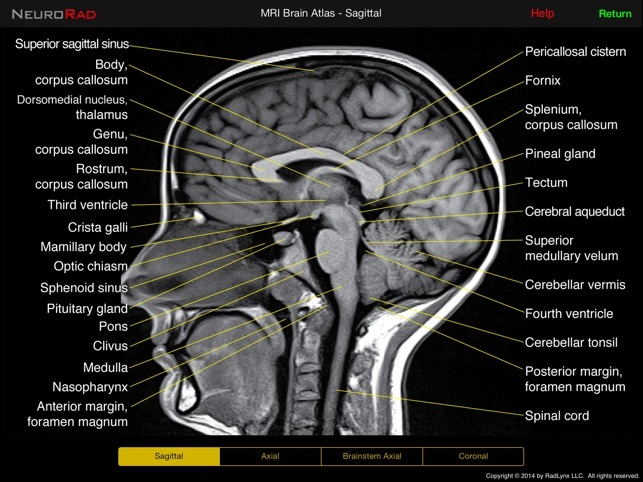 NeuroRad Mini™ for the iPhone is a completely reengineered and miniaturized version of the cross-sectional imaging MRI Brain atlas found in the NeuroRad™ for the iPad. Called a "must-have for any user interest in better understanding the anatomic layout of the brain in a clinical setting" by iMedicalApps.com. 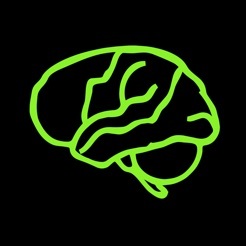 NeuroRad Mini™ for the iPhone is available as a separate purchase. Really like this app and find it a very good resource. I recommend it for med students or beginning residents. I think it could be significantly improved by adding additional MR sequences (more cuts of current images, not mixing T1 and T2 between axial and sag, having dual view mode to see where you are between axial and sag, and adding spinal cord images). One additional thought is to have a tap-to-identify structures to allow labeling of all major structures on each cut. This would be fantastic for studying long structure that span multiple cuts and are only labeled on a few. I'd easily pay all over again for these updates! This is, at $9.95, by far the most expensive app I have ever purchased, and would be a bargain at twice the price. 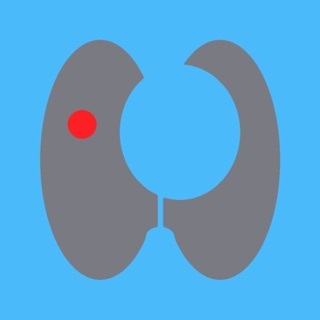 I am a senior neurologist in a teaching hospital and think the app will be a great resource for teaching residents and medical students as well as patient and family education. The links seem quite useful as well. This app really shows the power of this marvelous device! I've found the App to be extremely useful and well worth the money. It's very easy to use and practical. The images are clear, easy to read and the WebLinks are very convenient. Great App!